For January 2019 the #ClassicsaDay team made #ClassicalWinter then theme. It seemed only right to continue the trend and celebrate Spring. So for April 2019, everyone is encouraged to share classical works inspired by the season. Some famous pieces may readily come to mind, such as the “Spring” movement from Vivaldi’s “Four Seasons,” or Copland’s “Appalachian Spring.” I decided to avoid the obvious and dig a little deeper. 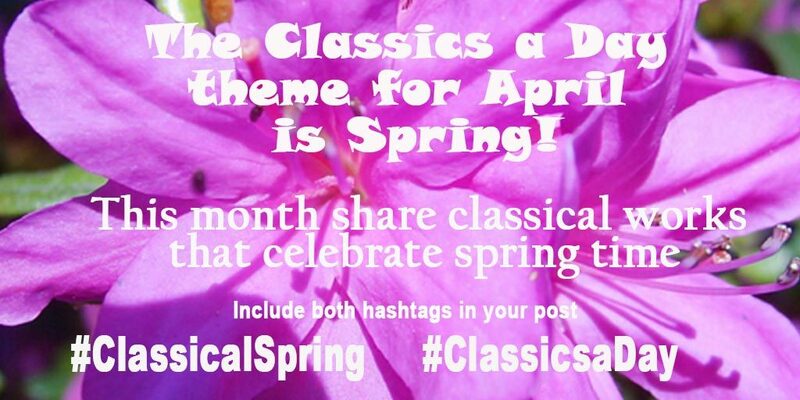 Here are my posts for the first full week of #ClassicalSpring. This is part of a three-part song cycle Larsen completed in 1995. The text is from an Emily Dickinson poem. This work is one of the “Two Pieces for Small Orchestra.” It was premiered in 1913 and features the oboe and clarinet imitating the cuckoo. Grieg wrote 66 lyric pieces, collected in 10 books published between 1866 and 1901. “To Spring” is one of three pieces in the collection related to the season. Beethoven’s 1801 sonata was named the “Spring Sonata” after his death. It was inspired by the beauty of the music, and the “qualities of spring” late-19th Century audiences heard in it.